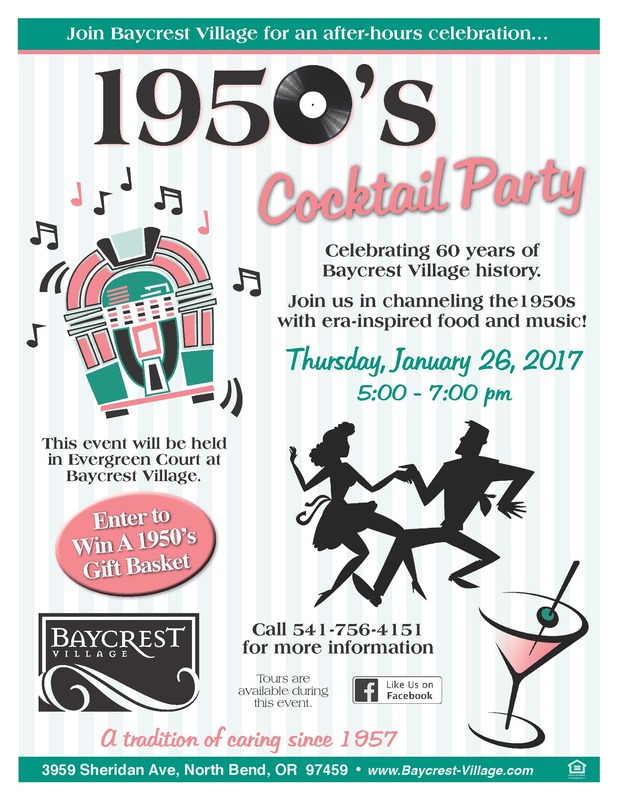 Baycrest Village welcomes you to our 1950’s Cocktail Party to celebrate 60 years of Baycrest Village history. 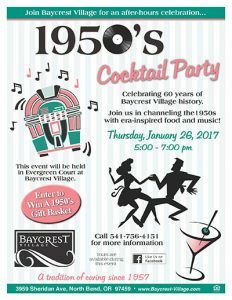 It will take place Thursday, January 26, 2017, from 5 to 7 pm in Evergreen Court at Baycrest Village. Join us in channeling the 1950s with era-inspired food and music. Also, enter to win a 1950’s gift basket!